Tired after a long working week in Hyderabad and want to get away from it all? You are spoilt for choices for places near Hyderabad for weekends. What you can look forward to is not only a refreshing weekend but also an opportunity to experience the rich culture, tradition, architecture and the delectable cuisine of this capital city of Andhra Pradesh. This is one of the closest weekend destinations near Hyderabad, located at a distance of only 83 km. The ruins of an ancient Buddhist Monastery and a pillared hall are preserved very well in the village of Nandikonda Village which is located here. Besides visiting the Lakshminarasimha Swami Temple and the Chhaya Somalingeshwara Temples, Nalgonda is a very laidback little place that offers you a quiet and a relaxing weekend. You only have to drive about 100 km. from Hyderabad to get to this place. A trivia about Mahbubnagar is that the Kohinoor Diamond originated from here. 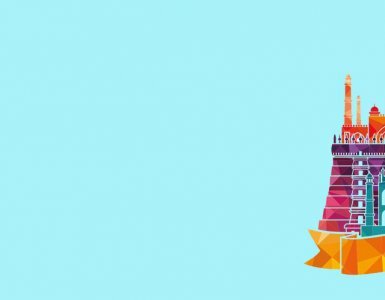 There are a lot of temples and religious places that you might want to visit like the Jama Masjid, the Medina Masjid, the Mecca Masjid, Umamaheshwaram, Mallelatheertham and the Koilsagar, besides a 700-year-old Banyan Tree which is a major tourist attraction. A weekend getaway from Hyderabad, it is about 147 km. from the city. 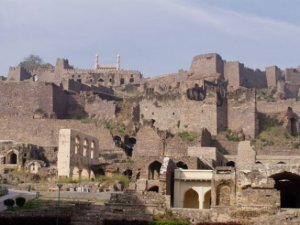 The main attractions of this place are the forts and the ruins. Walking around the place, enjoy the rich history of India. It is a quiet location and far away from the maddening crowd. 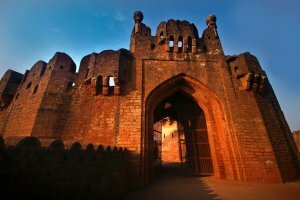 The Bidar Fort, the Bahmani Tombs, the Khwaja Mahmud Gawan Madrasa and the Choukhandi are the most definite places to visit. 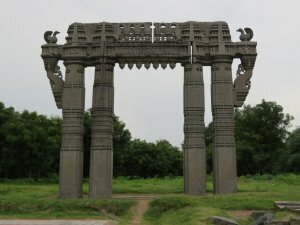 Warangal is now a part of the newly formed Telangana state and is located at a distance of 143 km. from Hyderabad. It was once the seat of the Kakatiya Dynasty. This location is known for its temple architecture and forts. The Warangal Fort, the Bhadrakali Temple, the Thousand Pillar Temple and the Ramappa Temple are some of the places that you can visit in this area. 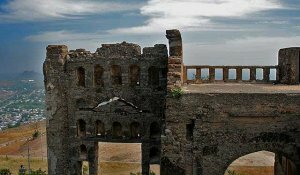 On the way to Warangal, you can also visit places like the Bhongir Fort, Pembarti, Kolanupaka (Jain Temple) and Jangaon. There is a wide range of accommodation available that suits all kinds of budgets. Nagarjunasagar is 164 km. away from the city of Hyderabad. It is ideally suited for a day trip and is famous for its 124 mt. high dam and the Nagarjunakonda. This is a popular waterfall near Hyderabad. You can also enjoy a steamboat ride here. 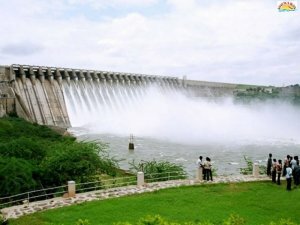 A famous tourist attraction in Telangana, Nizamabad is 176 km. away from Hyderabad. The place is soaked in rich Indian culture and architecture. The natural trekking trails available in abundance, often lead you to spectacular waterfalls. There is an ancient temple in Kanteshwar which is believed to be 500 years old and this is one of the most visited tourist attractions in this area. Bada Pahad Dargah is another place that cannot be missed. 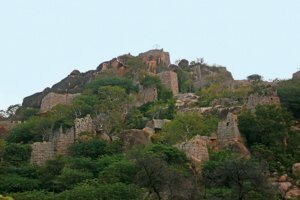 Nizamabad is one of the top and popular weekend getaways from Hyderabad. History and Karimnagar are intrinsically linked; they are not far away from each other. The architecture that is seen here is a wonderful reflection of a rich Indian culture. Situated at a distance of 164 km. 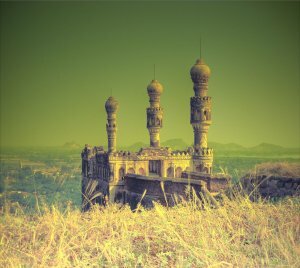 from Hyderabad, it is an ideal place for those who love architecture and photography. You can shop for metal and filigree work from this area and take it home as a memory. The best time to visit these caves is from August to December. 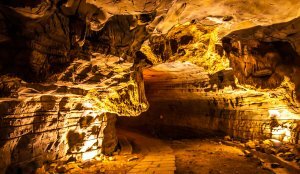 These are the longest caves in India, at a length of 3,229 mt. A long time ago Buddhist monks used this place for meditation. A stream called Patalaganga runs deep inside these caves. The stalagmites and stalactites found here is a sight to behold. The distance from Hyderabad to this area is 319 km. 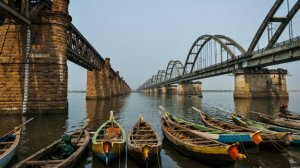 A Hyderabad weekend getaway, Rajahmundry is situated on the banks of the Godavari River. This place is at a distance of 399 km. away from the city. Telugu which is the official language of the state of Andhra Pradesh is said to have originated from this place. A boat cruise on the Godavari River makes for an unforgettable experience. There are a lot more options like hill stations, beaches, and resorts near Hyderabad. All you need to do is have a budget in mind and pick a place that suits you. A weekend getaway will prove to be very rejuvenating, relaxing and reflective. So, what are you waiting for? Pack your bags and enjoy an exhilarating weekend, with your family. If you are worried about falling short of cash for the trip, MoneyTap personal loan in Hyderabad might just be your savior. 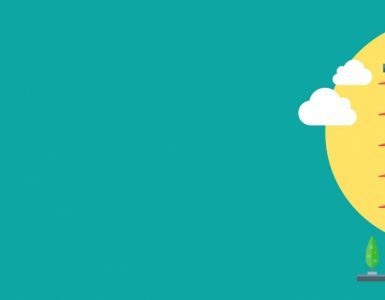 Download it on your phone and get a credit line approved for whenever the need arises, without tapping your savings or maxing your credit card. 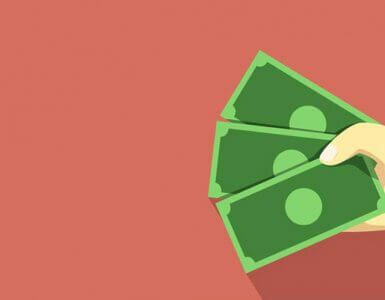 Other benefits of MoneyTap’s personal loan in Hyderabad with a line of credit include the freedom to borrow only what you want, pay interest only on the amount you spend, and a credit card that you can swipe and convert into easy-to-pay EMIs. If you don’t want to go through the hassles of paperwork or endlessly wait for an approval, explore the option of private loans in Hyderabad with MoneyTap’s credit line app and enjoy that much-awaited weekend getaway!